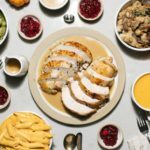 This is the most stress-free, calm Thanksgiving you’ll ever make, provided you have an Instant Pot. 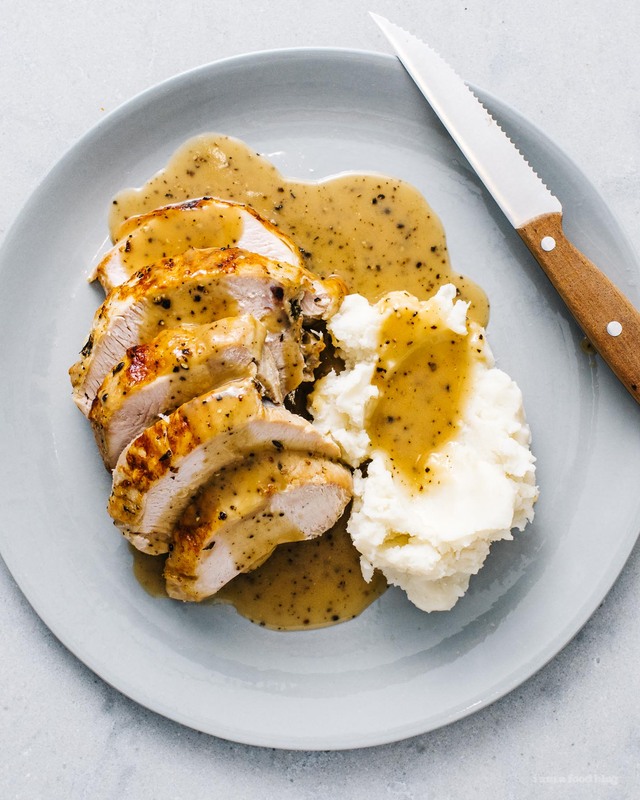 If you don’t, check out this one-pan turkey dinner that has your name all over it. If you want to Instant Pot it up though, just follow these easy steps and relax, we’ve got you covered. 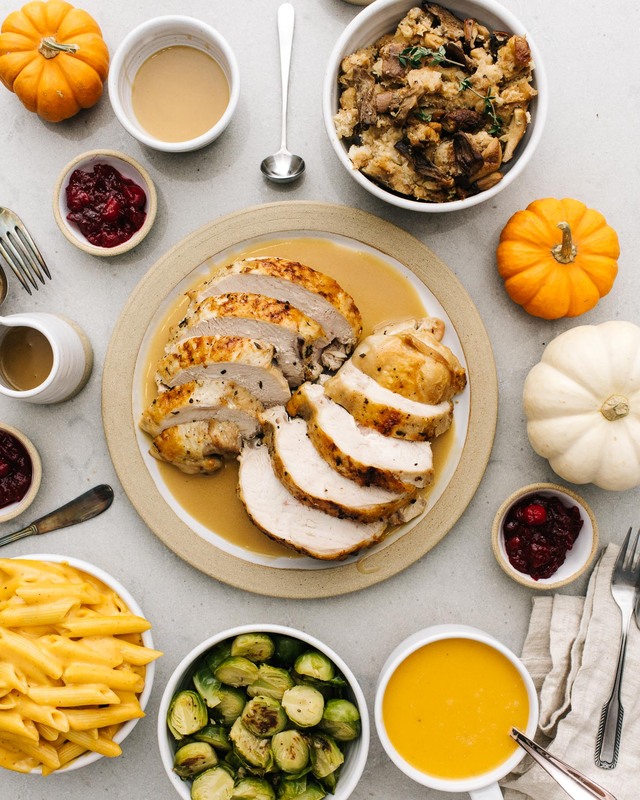 If you’re cooking a meal, especially a holiday meal, to be served to friends or family, the key to success is planning. Don’t run around second guessing yourself and what you’re going to make. Plan your menu, do the shopping, and do the prep beforehand. If you’re really neurotic, do a test run – that way you’ll know the recipes work, you’ll have the timing down pat, and best of all, you’ll get to eat everything twice! All of the recipes in this series are designed to be simple and easy. Part of the joy of the Instant Pot is that there’s no guessing. With regular cooking, everyone’s idea of medium high heat is different and when you factor in what kind of pan you’re using and whether or not you have a gas or electric range means that there are a lot of variables. Instant Pots are great because everyone’s is the same and when you say, cook on high pressure for 5 minutes, the results are going to be the same. The only thing that will possibly be different is seasoning, which should be, because you should always season to taste. And speaking of seasoning to taste, all of the recipes in this Instant Pot series are 5 ingredients, not counting salt and pepper. boneless turkey breast roast, garlic, fresh herbs, wild mushroom mix, small butternut squash, yukon gold potatoes, ginger, fresh cranberries, orange, brussel sprouts, butter, milk, shredded cheddar, chicken stock, coarse stuffing bread cubes, coconut milk, canned pumpkin, and a short pasta of your choice. The day before, make sure you have all of your ingredients, then do the prep. Peel and chop all of the vegetables, make the herb butter, and decide on which dishes you’ll serve everything in. Make the dishes that’ll hold overnight and reheat easily: the soup, cranberry sauce sauce, and potatoes. 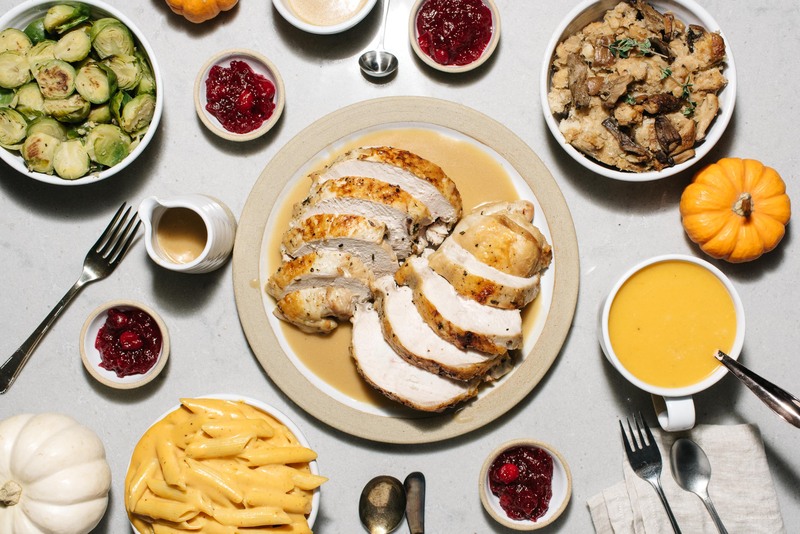 On turkey day, make the stuffing, then the mac and cheese, the turkey, gravy, and finish with the sprouts. Boom, done. Turkey coma, here you come!